Who was Robert Paxton McCulloch? Robert Paxton McCulloch was an American engineer, entrepreneur and visionary who made his mark in the automotive power adding world with his centrifugal superchargers. In 1925, at the age of 14, Robert and his two siblings received a $20 million inheritance from their grandfather John Beggs. Empowered by his inheritance Robert was able to attend Princeton University in 1928. He transferred to Stanford the following year where he completed his engineering degree. At a young age Robert lived his passion for speed by racing class C and D hydroplanes for which he became a national champion. During this time he started a machine shop that built racing engines for midget cars. Robert moved forward by founding McCulloch Engineering Company in which he hired several engineers to help develop racing engines and his first centrifugal supercharger developed for the Mercury and Ford Flathead V8’s. Designed in 1937 by Francis L. Colburn the supercharger was packaged as a kit and sold into the consumer car market, for trucks and to racer’s. By 1942 sales had reportedly passed $3 million which was second only to General Motors. Work on superchargers continued with seven different patents filed between 1942 and 1943. In his early 30’s Robert sold McCulloch Engineering to Borg-Warner for $1 million. Moving away from his early endeavors he founded another company, McCulloch Aviation with the intention of producing lightweight drone planes to support war efforts. In 1946 he moved his company to California and changed the name to McCulloch Motors Corp.
Robert’s ability to be flexible, agile and innovative in his businesses proved him unafraid to change a company focus, create a new division, or start up a new company to pursue opportunities. 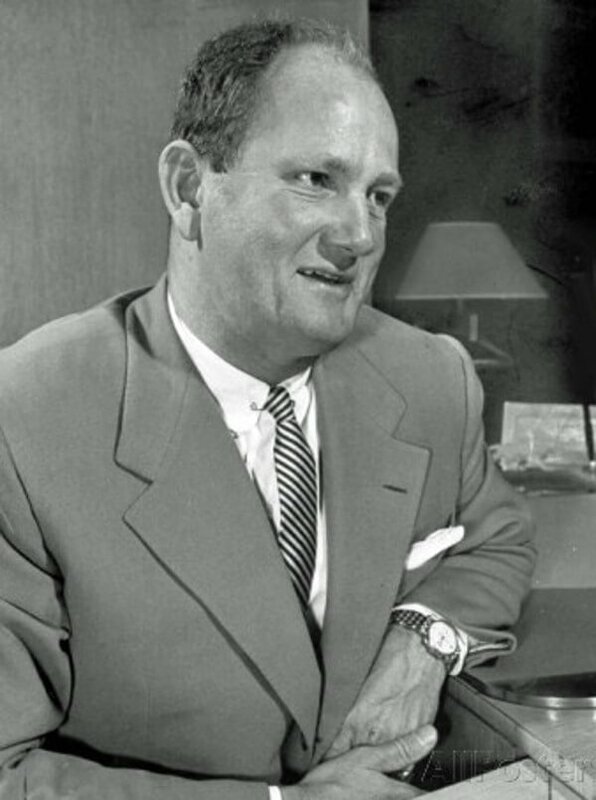 He founded several companies including McCulloch Motors, McCulloch Aircraft (purchased from Vance International Airways), McCulloch Oil, McCulloch International Airlines, McCulloch Properties and Paxton. He didn’t just build a name through business. He’s also credited with founding several cities including Silverlake in California, Lake Havasu City and Fountain Hills in Arizona, Pueblo West in Colorado and Spring Creek in Nevada. Further, he became very well known for purchasing The London Bridge and having it shipped piece-by-piece to Lake Havasu City where it was reconstructed. Robert Paxton McCulloch passed away at the age of 65 reportedly from a heart attack that occurred on February 25, 1977.